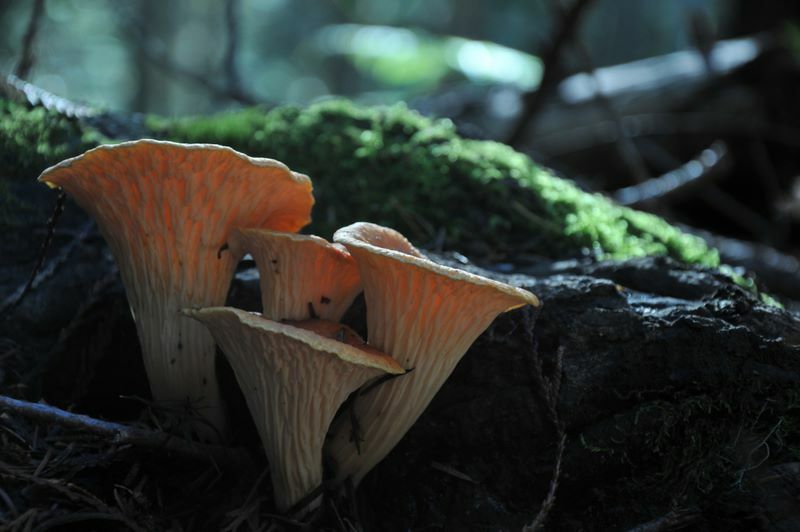 Scaly Chanterelle (Gomphus floccosus) in fir woods. We found a good variety of mushrooms, including one Boletus edulis in edible condition (along with others too old). Sauteed in a little cheese and water (we had no oil), it was delicious.